Starting in the 1860s, a partiality for anything coming from Japan appeared in France, followed by England, which was to continue for almost fifty years. Giving rise to the fashion of “Japonisme”, it followed on from the taste for “chinoiserie” that was in vogue in the courts of Europe at the end of the 18th century, and that had fascinated several generations of Romantic artists during the first half of the 19th century. Most of the innovative artists collected these prints and were influenced by the themes specific to ukiyo-e, such as the seasons and climatic conditions. Hokusai, Hiroshige and Utamaro, woodblock print artists who were little thought of in Japan due to the “lightness” of their works, were considered masters in France. Their influence, combined with that of photography and scientific discoveries relating to matter, had a profound effect on how the world and academic certainties based on unchanging principles were viewed. 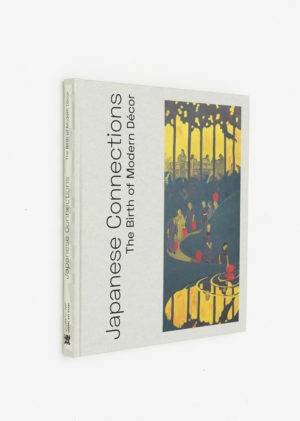 The aesthetic revolution initiated by the Impressionists was pursued by artists like Van Gogh and Gauguin, who both succumbed to the appeal of Japonisme and took up the formal simplification and bright colours of woodblock prints. The artistic exploration of such artists was to lead to the overturning of visual representation, of which the Nabis were direct heirs.